As reported by Daily Mail, a cancer patient who accepted the disease would kill him saw his tumors shrink – by taking daily drops of CBD Oil. The 81-year-old, who hasn’t been identified, repeatedly refused chemotherapy and other treatments to prolong his life. 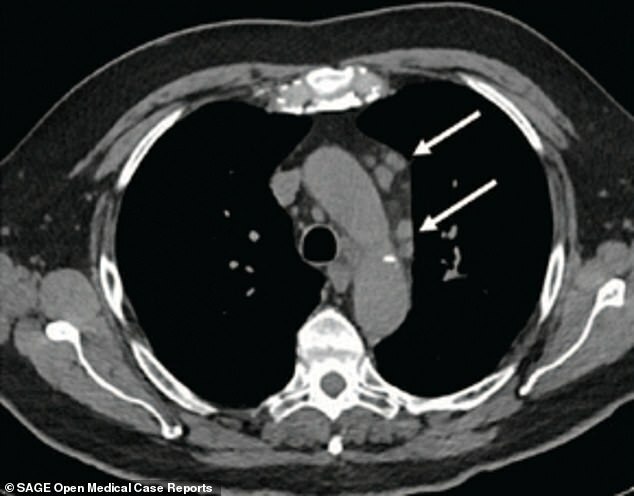 Doctors have now published stunning scans, showing how doing so halved the size of his tumors and reversed the progression of his disease. The tale has been published in a medical journal, where doctors claimed ‘CBD may have had a role in the striking response’. However, experts have warned this is just one case. Claims that cannabis or any of its derived compounds could have any significant impact on cancer are unproven. The anti-inflammatory compound is already backed for its plethora of benefits by the World Health Organization. However, the latest case report offers hope it could tackle certain forms of cancer, as well as combating pain, epilepsy, and anxiety. Doctors at the Royal Stoke University Hospital treated the patient, who already survived a shave with prostate cancer 15 years ago. They pointed to an array of promising research which has suggested CBD may have the power to slow the growth of some tumors. Scientists believe CBD produces oxygenated chemicals in the body which may cause cancerous cells to kill themselves. Though, several other pathways have also been suggested – including stopping the tumor from recruiting cells that help them grow. This single case study adds to several that offer some promise in the use of CBD products in the treatment of cancer. I think there is real potential with CBD, but there is also a lot of false hope being given. This kind of case study is essential but is unlikely to change medical practice. It will need a larger randomized control trial, which would help distinguish how much is down to the placebo effect. The patient had already been diagnosed with a chronic obstructive pulmonary disease (COPD) – a debilitating lung condition that causes breathlessness. As well as having COPD, he also used to smoke around 20 cigarettes a day when he was in his 20s and 30s. Both are risk factors for lung cancer. 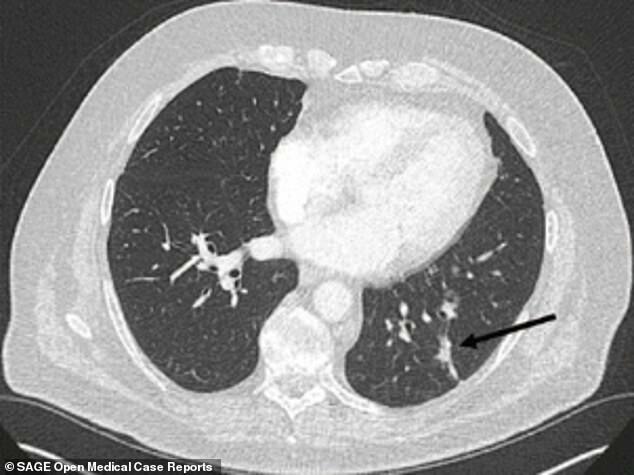 The man was diagnosed with lung adenocarcinoma in October 2016, after going to his GP complaining that his breathlessness was getting worse. Scans showed a shadow in his left lung, which turned out to be a 2.5 by 2.5cm cancerous tumor. The disease had also spread to his lymph nodes. Lung adenocarcinoma is a form of non-small cell lung cancer, accounting for around 80 percent of cases in the UK. Around 44,500 people are diagnosed with lung cancer as a whole every year in the UK. The figure is approximately 260,000 in the US. 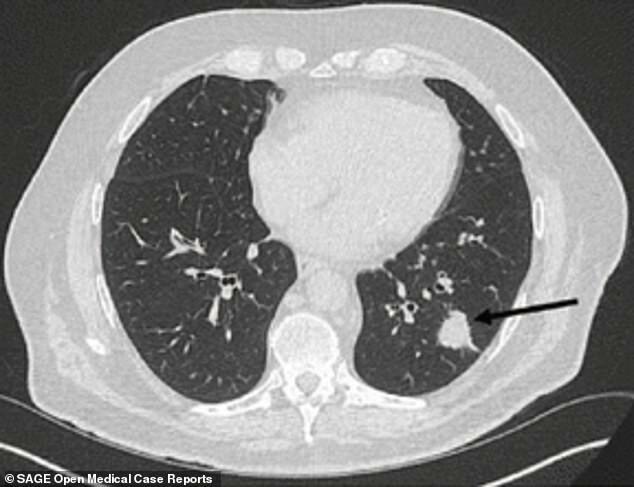 Only 15 percent of patients with an adenocarcinoma of the lung survive for five years, according to statistics. Doctors at Royal Stoke University Hospital then offered him chemotherapy and radiotherapy in the hope of prolonging his life. However, he declined treatment because of his age as he did not want to suffer adverse side effects in the final years of his life. 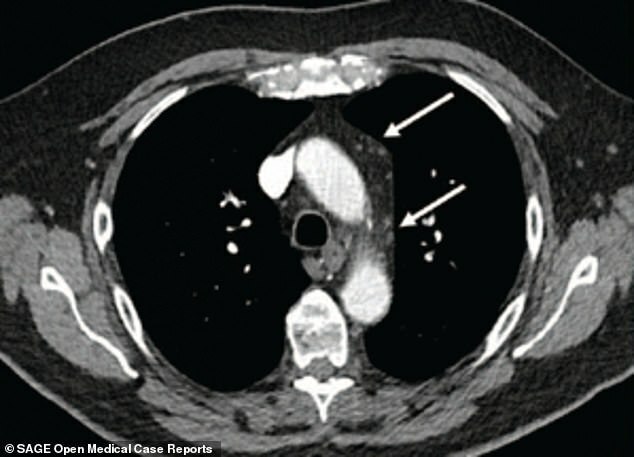 A CT scan conducted at the hospital in December 2016 revealed the lung mass had increased in size, measuring 2.7 × 2.8 cm. He was once again offered treatment – but declined, lead author Dr. Josep Sulé-Suso wrote in SAGE Open Medical Case Reports. Another chest X-ray in July 2017 showed his disease was slowly progressing. But, in a bizarre twist of events, a CT scan in November revealed the ‘near total resolution’ of the mass to just 1.3 by 0.6cm. Dr. Sulé-Suso and colleagues also spotted a ‘significant reduction’ in the size and number of mediastinal lymph nodes. Doctors then asked the patient about his lifestyle, to understand what may have prompted the dramatic effect on his cancer. He revealed he had started taking CBD oil in September – just two months before the scan showed his tumor had halved in size. At first, he consumed two drops twice daily for a week, before bolstering his dose to nine drops twice a day until the end of September. The patient gave up taking the oil a week after his positive CT scan in November because he ‘didn’t like the taste and felt sick’. No other changes in diet, medication or lifestyle were noted, leading the medics to believe CBD oil was the key driver in the shrinking tumor. Dr. Sulé-Suso and colleagues did not reveal the man’s condition now, or if he ever started retaking CBD oil.